You’ll also get weekly emails filled with inspiration, action steps and blog updates. Not your thing? Unsubscribe in one click. Overcome overwhelm and finally make progress with five simple projects you can complete in an hour or less each! 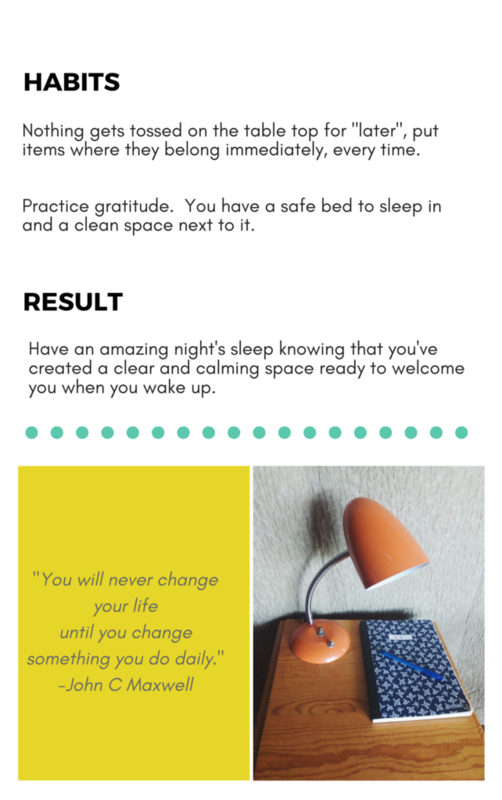 You know the first step towards a simple life is to remove clutter. But so often people tell me they don’t even know where to start. 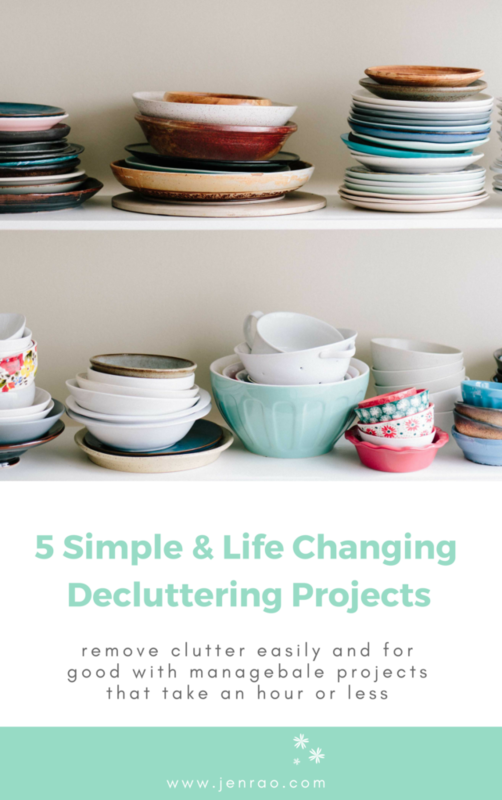 In this guide, I’ll show you 5 small and manageable projects that will make decluttering less overwhelming. You’ll gain confidence and momentum instead of being stuck. You’ll be able to take immediate action instead of being paralyzed with fear. Within an hour you’ll have made real progress that you’ll be proud of! 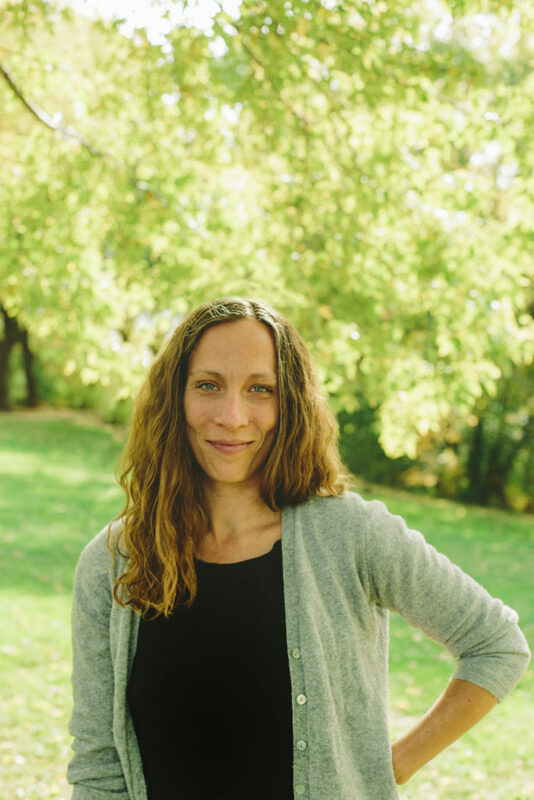 Hey, I’m Jen and I have a knack for combining inspiration and action for people ready to simplify their lives. I’m all about breaking down big scary projects into manageable tasks. 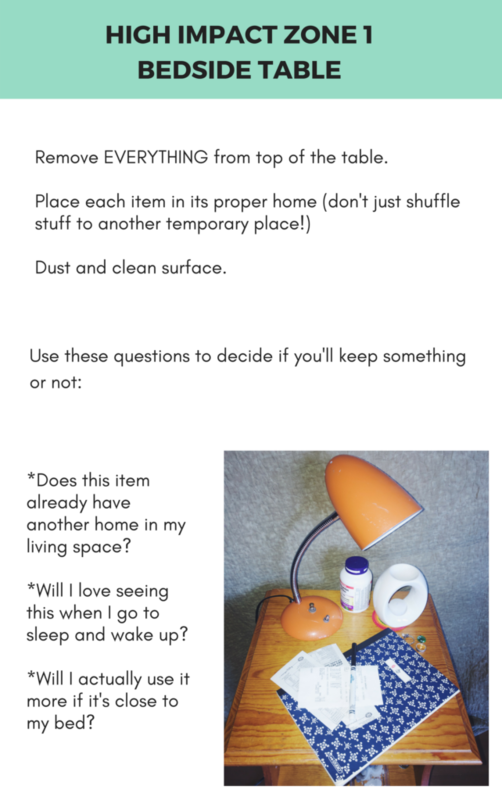 I created this guide because I see so many people at the beginning of their simple living journey overwhelmed by the sheer volume of stuff they need to remove and changes they need to make in their lives. You deserve to make progress, gain confidence and design a life that you absolutely love. I’ve been on my journey to simple for ten years and am grateful for the ability to share what I’ve learned with others. I’m a nomadic Canadian with a love for travel, writing and my beautiful tuxedo cat, Starla.